PRICE REDUCED! Antique Post & Beam Cape circa 1800 located on Gale Chandler Road in Landaff. Landaff is one of the few small northern towns with several working farms still in existence.The town is renowned for its rolling green hills and westerly sunsets thus creating an aura of tranquil living. 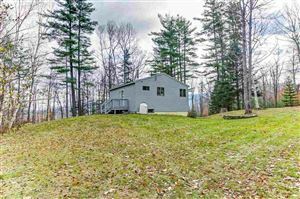 This home has 3 bedrooms, 1.5 baths, an attached one-car garage, and rear deck overlooking a brook running along the property past the detached barn with a metal roof. Updates to the home include: bathrooms, upper-level bedrooms and hallway, family room, wiring, metal roof, doors, windows, exposed beams and built-in bookcases. There is still some work needed to the exterior clapboards on the home and fencing repair in the front of the house. 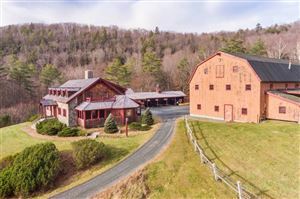 Located about 23 miles from downtown Littleton for shopping, dining, and entertainment, less than 10 miles to Woodsville for additional shopping and dining, and 20 miles to Cannon Mountain for skiing, with snowmobiling close by as well. 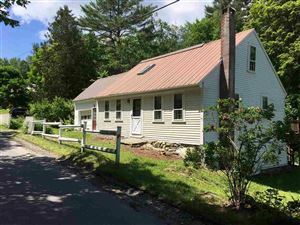 The home is quaint with an easy floor plan, all of this at a very affordable price. You can live here year round or make it your seasonal getaway or rent it out when you aren't going to be there. Either way at this price you'll have many options.